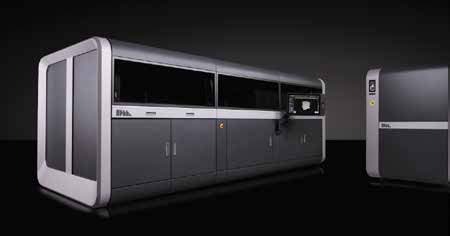 FRANKFURT, Germany—A larger build envelope and faster printing speed are among the new advancements that Desktop Metal has made to its Production System™, a metal 3D printing system that the company calls “the fastest metal printer in the world.” Desktop Metal’s new Production System™ has a 225 percent larger build envelope (750mm x 330mm x 250mm) and a 50 percent increase in print speed to 12,000 cm3/hour, the company said in a press release. Desktop Metal (www.Desktopmetal.com) made the announcement before previewing a broad range of metal 3D printed parts at Formnext 2018, an international trade show for additive manufacturing. The first installation of the Production System is scheduled to take place during the first quarter of 2019 at a Fortune 500 company. Additional customer installations at major automotive, heavy duty, and leading metal parts manufacturers will follow throughout 2019, with broad availability in 2020, the company said. “As we continue to expand our list of global customers and partners, companies that are turning to the game-changing technology available with the Production System, and installations set to begin rolling out in the coming months, Desktop Metal is looking to further shift the industry beyond prototyping to now include full-scale metal manufacturing, said Ric Fulop, CEO and co-founder of Desktop Metal, in a statement. Powered by Single Pass Jetting™ technology, the Production System is said to be the first and only metal 3D printing system for mass production that delivers the speed, quality, and cost-per-part needed to compete with traditional manufacturing processes. It is also reported to be more than four times faster than competing binder jet processes and 100 times faster than laser-based systems. The improved system includes two full-width print bars, advanced powder spreaders, and an anti-ballistic system that spread powder and print in a single quick pass across the build area. According to Desktop Metal, it is the most sophisticated single-pass inkjet printhead ever installed in a binder jet system. The system uses 32,768 piezo inkjet nozzles that enable a broad range of binder chemistries to print an array of metals—including tool steels, low alloy steels, titanium, and aluminum—at a rate of 3 billion drops per second. The Production System is said to be the first and only binder jet system with an industrial inert environment, including gas recycling and solvent recovery, to safely print reactive metals in mass production. It is also reported to be capable of printing more than 60 kilograms of metal parts per hour. Printed metal parts shown by Desktop Metal at Formnext 2018 spanned applications in automotive, industrial machinery, consumer products, manufacturing, and tooling, among others. One, a spauger bit by Milwaukee Tool®, represented simplified manufacturing for complex parts. The spauger bit features complex geometry that has traditionally required multiple manufacturing steps to produce, including time-consuming, dedicated setups for milling, turning, and grinding operations. The Production System has simplified the process by reducing the number of steps in manufacturing from more than 20 to four and producing as many as 1,400 spauger bits per four-hour build. 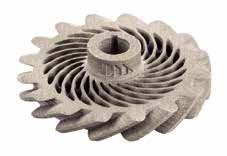 Another part, a generatively designed gear, reflected the Production System’s capability for mass-customizing batches of generatively-designed gears at varying amounts with the efficiency of mass production. 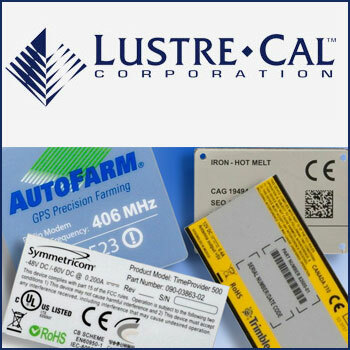 Instead of needing to post-process each part using laser or electro-chemical etching, ink marking, or dot peening, parts can now be printed with serial numbers or other customization details in place, rendering an entire build volume of unique parts with no need for post-processing. A third part, a print-in-place hinge, illustrated the ability to consolidate assembly for high-volume production. Standard hinge designs, like those used for eyeglasses, typically consist of two leaves that are bound by—and revolve around—a central pin. Assembly of these small components can be time-consuming in high volume, and often requires precision engineering tools and equipment to manufacture. 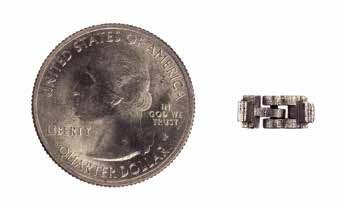 The Production System is reportedly able to print more than 45,000 pre-assembled, 12mm-by-5mm by-6mm eyeglass hinges in a single four-hour build. The hinge featured at Formnext was manufactured with the pin printed directly into the knuckle of the mating leaf—eliminating assembly time and reducing risk of disassembly with use over time, the company said.